Will Punisher Netflix Series Replace Iron Fist for Marvel's Defenders? A rumor is floating around the net from Peel the Orange that Marvel is considering replacing the upcoming Iron Fist Netflix television series with one that would follow The Punisher. Marvel can't quite seem to figure out how to put Iron Fist into the equation and time is running out. They're very pleased with Jon Bernthal's portrayal of Frank Castle for Season 2 of Daredevil and know that the fans have a great appreciation for the character. They also know that a Punisher series would be much cheaper and more marketable. They have a contract with Netflix and have to do something. It appears that for this phase of shows, time is running thin for Iron Fist. I don't know whether to believe this or not, but I definitely see how it makes sense. Originally, we were told that the plan was to release four shows (Daredevil, Jessica Jones, Luke Cage, and Iron Fist), which would culminate in a crossover of The Defenders, similar to how the Marvel Cinematic Universe (MCU) used the films between Iron Man and Captain America: The First Avenger to lead into The Avengers. Already, we've seen a deviation from that formula, as we're getting a second season of Daredevil, so it's obviously a somewhat malleable plan and not 100% set in stone with no flexibility. Also working in this rumor's favor is how little has been announced for Iron Fist. We don't even know who is playing the titular character, Danny Rand! Since there's been a big change in management with the separation of Kevin Feige and Jeph Loeb's respective film and television control, this might be a side effect of that. For example, if Iron Fist is a hero who they feel might be better suited for a movie, which takes priority over the TV show, that may be why we're hearing about Punisher or possibly even Moon Knight taking his place in the Netflix lineup. I'm hoping this both is and isn't the case. 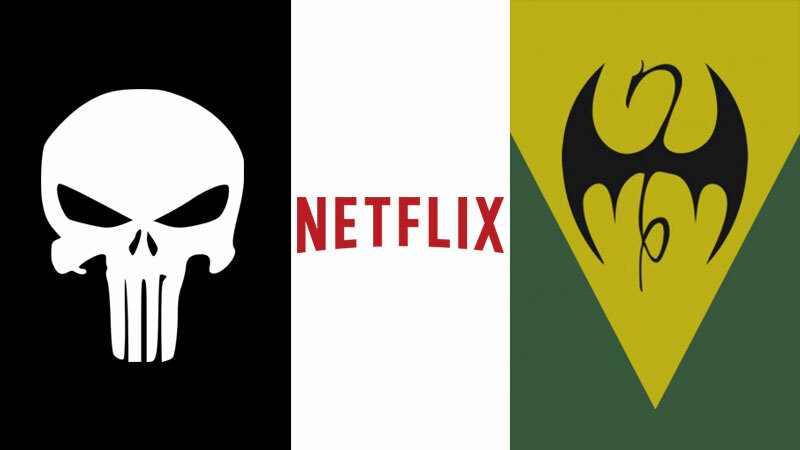 While I think the Netflix version of Punisher is going to be the best we've ever seen, and I do want to see a series dedicated to the character, I don't want to push Iron Fist out of the way in order to do so. Moon Knight can wait until after The Defenders, which I still think should be retitled Heroes for Hire so they can use the name The Defenders for a secondary group comprised of Blade, Ghost Rider, Morbius, Doctor Strange, et al. Just as the film division had one film per year, which eventually expanded to two, and is now at three, why can't the Netflix shows do the same? Originally, we had Daredevil in April. In November, we'll get Jessica Jones. Next year, we'll be getting Daredevil season 2 and Luke Cage, which should include the Jessica Jones character and is already filming. Assuming Daredevil gets released in the spring of 2016, why can't Luke Cage come in the summer rather than the fall, and a Punisher show come out sometime like December? For good measurement, Matt Murdock could be used as a supporting character in Frank Castle's story to the reverse degree of what's happening with this season of Daredevil, just to keep that character as the connective thread. Then, in the spring of 2017, Iron Fist could be released, leading into a summer release of The Defenders (ahem, Heroes for Hire, ahem) and characters like Moon Knight could be explored in the fall of 2017. Iron Fist just has too many ties to these characters to be pushed aside and not involved in this plan somehow. He and Luke Cage are always bro-ing it up, and we've already had references to K'un-L'un in Daredevil with Madame Gao. Daredevil's story does have some mystical elements to it with The Hand, but nowhere near as much as Iron Fist can bring to the table. Jessica Jones and Luke Cage have superpowers but are still pretty street-level, and Punisher is about as far from other planes of existence and immortal Himalayan warriors as possible, so what would bring all of these people together if not something more otherworldly from the Iron Fist side of things? Here's hoping the half of this rumor about Iron Fist being cancelled turns out to be false, but the part that says Punisher will get his own series turns out to be true. What do you think of this situation? Should Iron Fist be swept aside for more Punisher? How would you like to see Moon Knight incorporated in this universe?